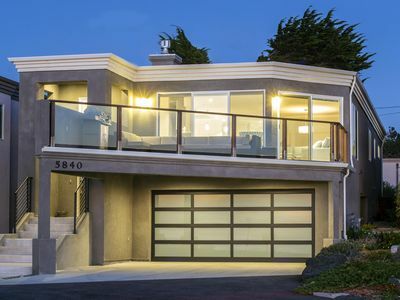 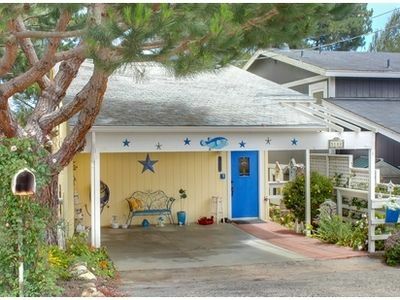 You have to see this fabulous beach bungalow to truly appreciate it! 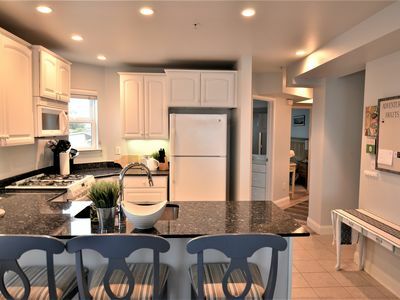 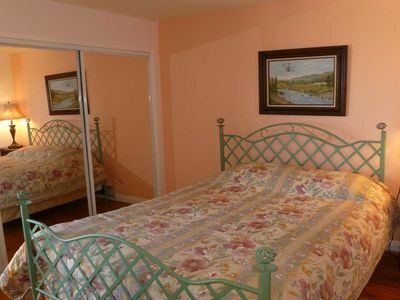 The rental space is the entire lower level of an otherwise unoccupied property. 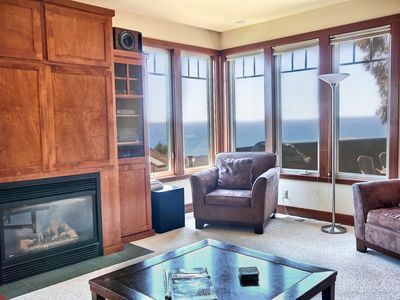 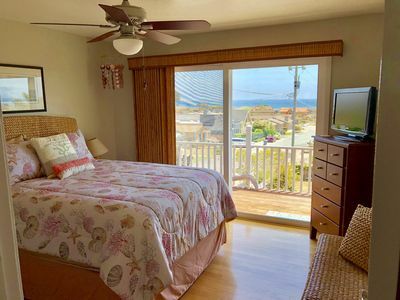 It is very tastefully appointed, with ocean views from the deck, ideal for a romantic get away for two or perhaps a family of four. 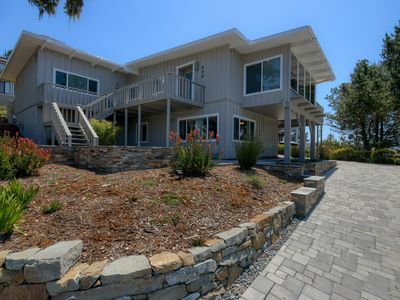 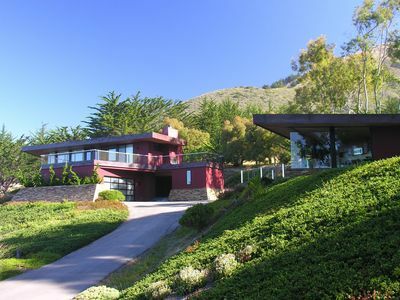 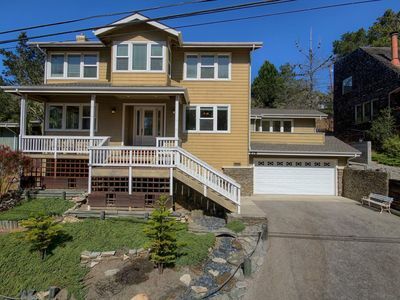 Comfortable luxury space, perfect location - just a short walk to the breathtaking beauty of Fiscalini Ranch. 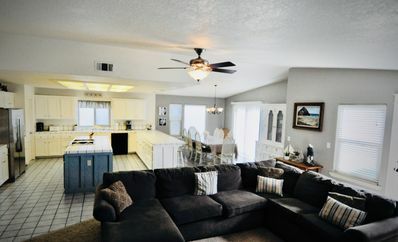 The layout of the property has great energy and provides one Queen bed, two sofa beds, a huge flat screen television with gaming system and blue ray player, dining space and separate kitchen space with a full refrigerator, microwave and toaster oven, and full size washer and dryer. 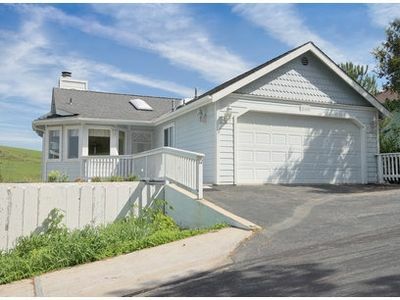 Fenced-in bonus space is located in the back of the property, perfect for lawn bowling or a friendly game of badminton! 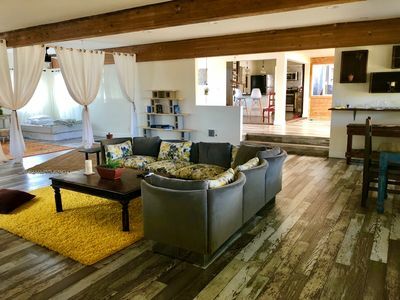 This unique, amazing space is available for short-term or a 30-day stay - book it today, before somebody else does! 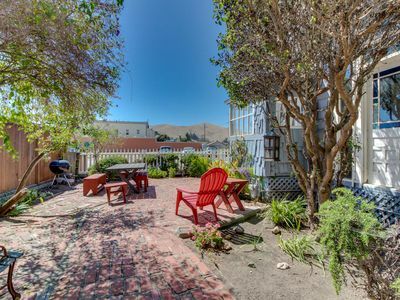 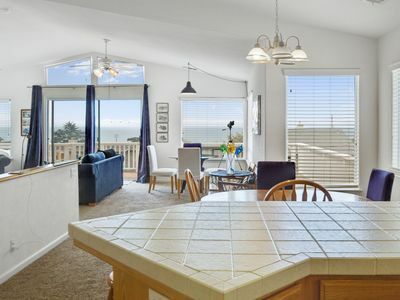 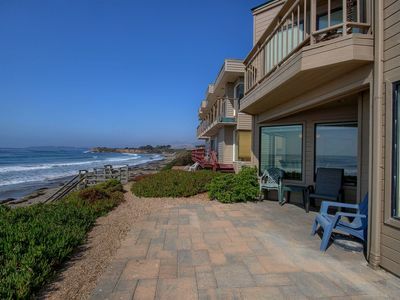 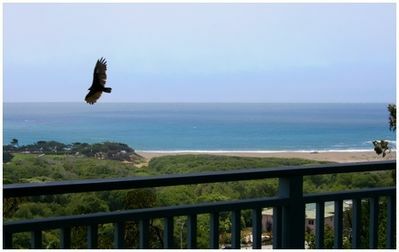 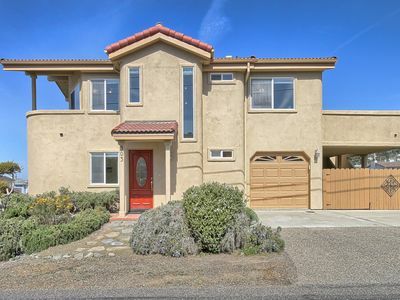 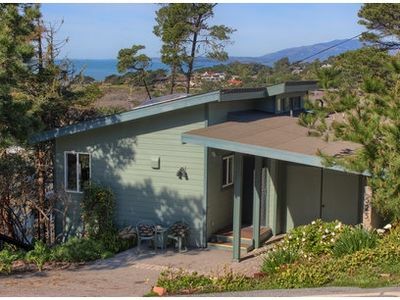 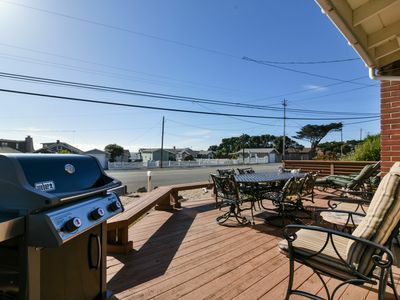 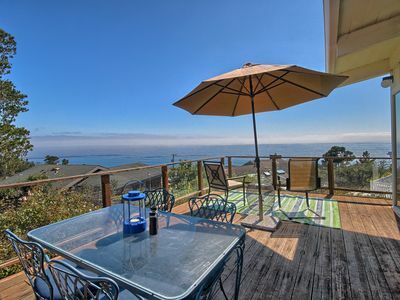 Charming Cayucos main floor duplex near town and beach, patio, free WiFi! 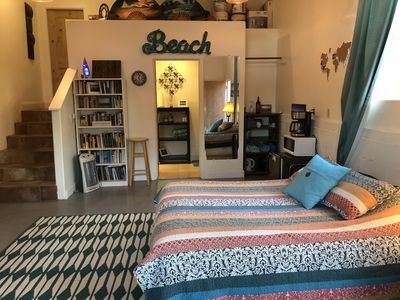 Studio for 4th of July!